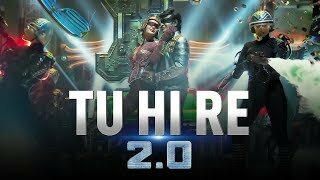 Tu Hi Re Lyrics – 2.0 movie song: A ‘mechanical’ love song from Superstar Rajinikanth, Amy Jackson & Akshay Kumar starrer 2.0. The song which was earlier titled “Mechanical Sundariye” is renamed to “Tu Hi Re”. It is composed by AR Rahman and sung by Armaan Malik & Shashaa Tirupati while lyrics are penned by Abbas Tyrewala.